Even though summer vacation has come and gone, there’s no reason to fall into a rut for the weekends to come. One great way to get to know that new special someone, or even escape with an old love, is to hit the open road. Leave the fast-paced life of weekday work and head out on a driving trip this weekend. There are plenty of scenic routes to be taken anywhere in the US, even if you only want a short drive! 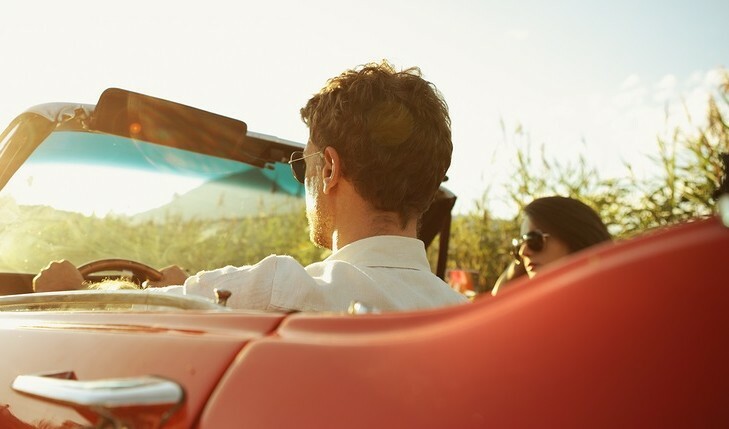 Rent a convertible and drive with the top down through a beautiful area right around home. You can even book a room at a Bed & Breakfast if you want to take the longer road less traveled by. If you’re more into looking for an adventure, hit the highway and try to visit as many “World’s Largest” destinations in the surrounding states as possible. Nothing says romance like a cute picture in front of the world’s largest Corn Palace! The fact is driving trips, near or far, are great bonding experiences that often lead to some great stories down the line. In the San Francisco area? Check out the movies in Redwood Road through the East Bay Hills for some breathtaking views. Have a secret weekend hideaway? Comment below and share with your fellow readers.